It shouldn't end with just whitening. Those who want to have fairer skin tend to forget that a healthy skin regimen should not end with just whitening. More than trying to achieve a lighter complexion, it's important to have radiant skin that's firm, too. Check out these seven ways to achieve healthy, well-nourished skin that's not only fairer but also firmer. Remove deep-seated dirt and dead skin cells to bring out your skin's glow. When bathing, make it a habit to use a loofah, a washcloth, a bath pouf, or a body scrub at least two to three times per week. Exfoliation will not only minimize your pores but also brighten your complexion. Dehydration results in dry and flaky skin. If you want a radiant, youthful glow, then make sure to drink 8 to 10 glasses of water every day. Even if your calendar is crammed, make sure you get seven to eight hours of shut-eye daily. Your cells build and repair themselves while you snooze, so if you're sleep-deprived, it affects your skin as well. Aim to get beauty sleep every single night. Make it a part of your morning routine. Slather on some sunscreen before stepping out. Not only does prolonged sun exposure darken your skin, it also results in the breakdown of collagen and elastin, which are both found in your skin and help keep it firm. 5. Get enough vitamin C.
Other than improving your body's resistance to sickness, this antioxidant also protects your skin from the harsh environment and improves its elasticity. Get your dose of vitamin C from natural sources such as citrus fruits, dark leafy greens, papaya, pineapple, and bell pepper. Flush out those toxins by working out. Exercising regularly also helps cleanse your skin from within and gives you a healthy-looking glow (plus a great body as a bonus!). A quick early-morning jog around the block would be a great start. 7. Choose a body lotion that not only whitens but also firms your skin. Why settle for a product that only whitens your skin when you can have that and more? 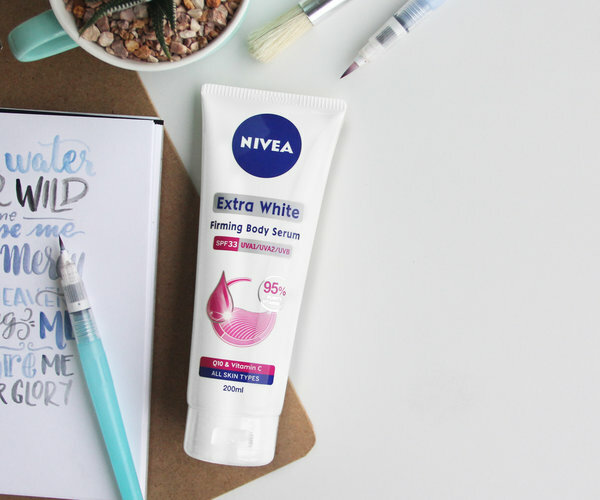 With NIVEA Extra White Firming Body Serum SPF33 and NIVEA Instant White Firming Body Lotion SPF15, you can go beyond just whitening. These new and improved products have fast-acting whitening properties boosted with sun protection and vitamin C that will not only give you a fairer complexion but also firmer, more nourished skin. 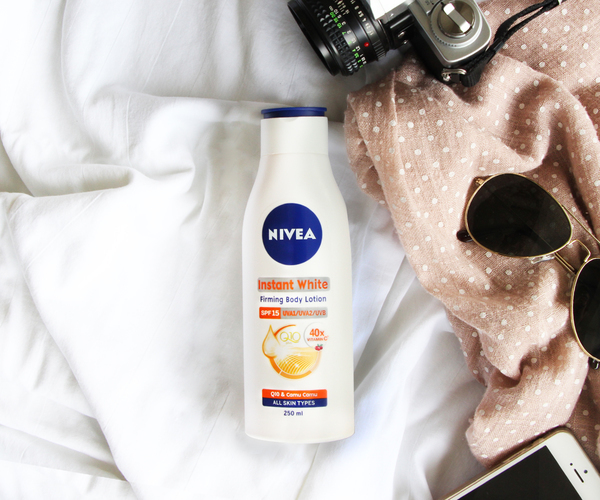 NIVEA Extra White Firming Body Serum SPF33 is not just about skin firming, it also evens out tan lines and reduces dark spots caused by sun exposure. Meanwhile, NIVEA Instant White Firming Body Lotion SPF15 can give you a radiant glow in an instant for moments when you need to make a statement with your fair and firm skin.